Painter, illustrator, concept artist, character designer, cartoonist, graphic designer and photographer. Master of Applied Arts & Design. If you like my work, feel free to call me to work 1-on-1. "Very responsive to suggestions. Our first experience with 99Design, and DeshaDesign made it great." 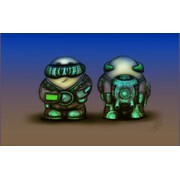 "Dejan is the best designer in town for character design sketches. If you want to make a great character design, and any type of interesting stuff for your characters, work with him. You will be impressed!" "Dejan is an amazing character design artist. His sketches, his ideas and his dedication is super good. I definitely recommend him to everyone who wants to get great concepts for character design!"